Cool birthday quotes by famous people do a very "cool" thing that other quotes simply can't: send real shivers up and down your spine. That's just what the cool birthday messages do here. But if the quotes here were just "cool," you wouldn't want to choose them as birthday wishes. Because you want to make the birthday boy or girl feel extra-special on their special day, you need to pick a quote that comes with messages of love and encouragement. In other words, you want a cool quote that expresses whatever you cool thing want to say your loved one celebrating a birthday. "I want to live to be 120. That's when I will start worrying about my age." May you live to at least 150 without a worry in the world. And you're priceless. Happy birthday! "Even though I am extremely blessed to have accomplished many of my goals at such a young age, I am still reaching, still striving." Besides, staying hungry keeps you young. 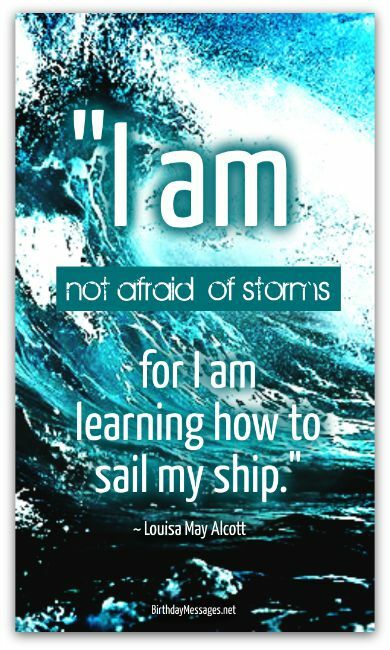 This is what it means to be strong. "Tenderness and kindness are not signs of weakness and despair, but manifestations of strength and resolution." You're the strongest person I know. Happy birthday! 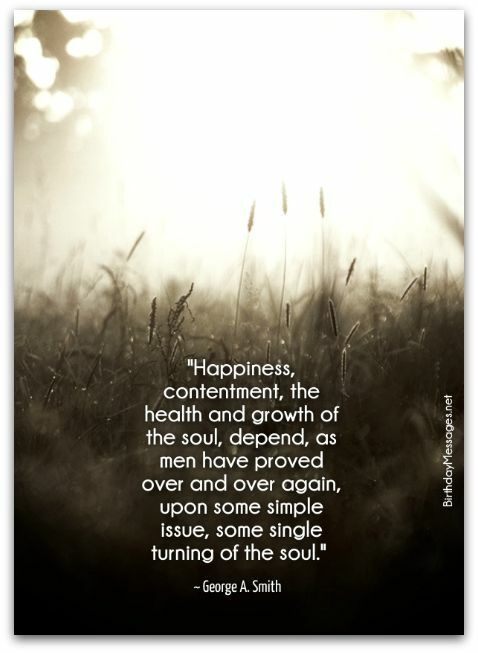 "Happiness, contentment, the health and growth of the soul, depend, as men have proved over and over again, upon some simple issue, some single turning of the soul." 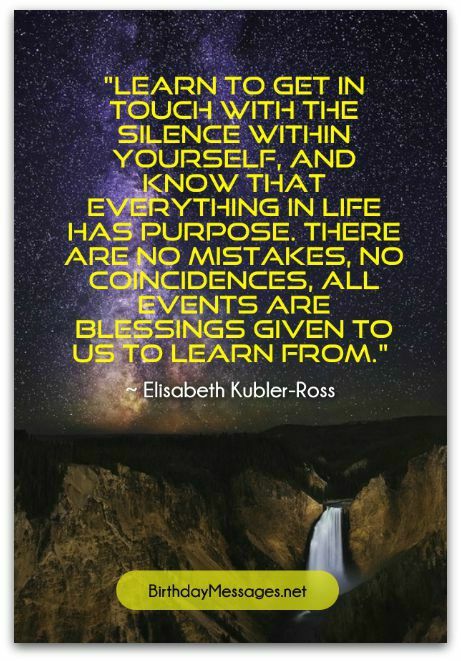 Keep your soul turning! Happy birthday! You've always been willing to pay the price. That's why you're a success in my eyes. Happy birthday! "I was always too mature for my age - and not very happy. I had no young friends. I wish I could go back to those days. If I could only live it all again, how I would play and enjoy other girls. What a fool I was." Happy birthday! May you never have regrets. Basically, it's better to have a happy birthday than none at all! "I wear clothes that most people in the Midwest would probably deem inappropriate at my age. And I rock a bikini all summer long. I know that it's not normal, but I just don't care. I live once." Besides, you rock a bikini too! Happy birthday, beautiful! Perspective is everything, especially on your birthday! So there's still plenty of time to do something great! Learning doesn't stop just because you hit a certain age. "I never went to college when I was young and am looking forward to giving it a try... at age 65!" Happy birthday! Learn something new every day! "Everyone takes pause at 40. It's the age you have to assess everything in your life...The world really does look at you to kind of have it together by 40..."
"I absolutely refuse to reveal my age. What am I — a car?" And girls know how to have fun at any age. Happy birthday! I guess we just need to enjoy every day! "You just never know when you're living in a golden age." Have a great birthday! Have a great every day, every year, for the rest of your life! Let my love guide you part of the way! Happy birthday! What makes cool birthday quotes cool? In other words, what's the cool factor? What makes cool birthday quotes "cool"? In other words, what's the "cool factor" behind the cool birthday quotes on this page? Basically, these famous sayings have to send shivers (real ones) from your neck to the tail of your spine. The next thing to know is how to use these cool birthday quotes. For tips, go right here. It's no coincidence that you came into my life. You're my blessing. Wishing you many blessings on your birthday! Happy birthday! Yes, we're old but you can't beat the experience that comes with age. "Experience enables you to recognize a mistake when you make it again." May you have many more years of trial and error. Happy birthday! You define what a man really is, at any age! You're a big man through and through.